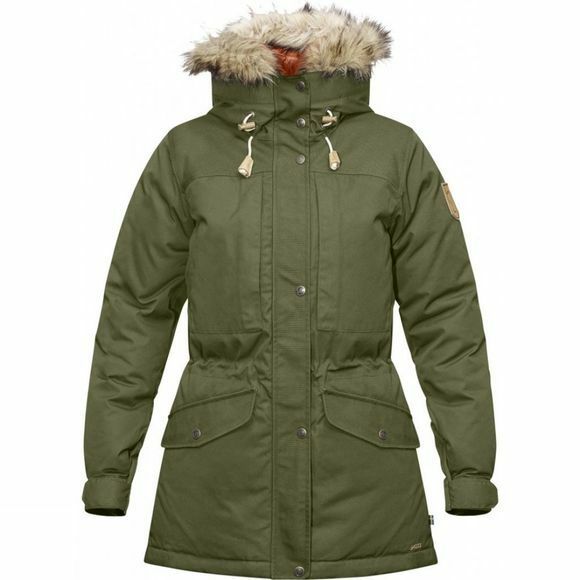 The Fjällräven Singi Winter Jacket for women is a warm reliable companion for longer, colder treks. It features goose down for excellent insulation and is longer at the back for better coverage. The shoulders and the lower back have been reinforced with G-1000 Heavy Duty fabric for better durability against abrasion.